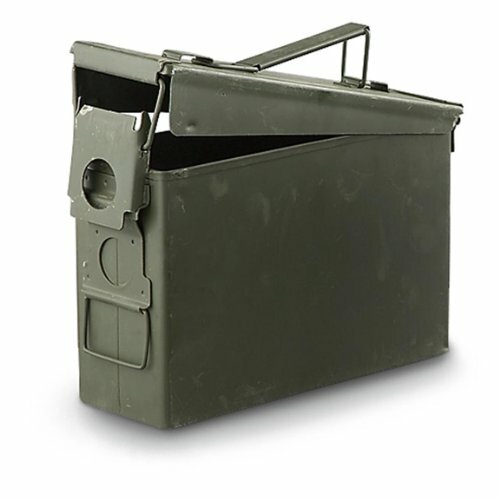 The 30 Cal M19A1 ammo box from Military Outdoor Clothing is constructed from rugged metal. It features a hinged lid with tension clamp down, a rubber seal on lid and a carrying handle. Measures 10 by 3.5 by 7 Inch. NSN: 8140-00-828-2938. Ammo not included.